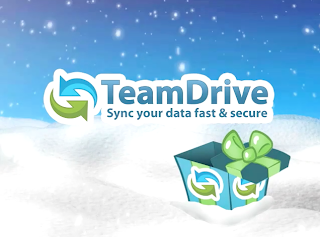 TeamDrive News: Merry Christmas and a Happy New Year 2013! On behalf of the TeamDrive Team, we would like to take this opportunity to wish you all the very best for the Christmas Season and a healthy and prosperous New Year! It has been a great and exciting year for our clients and partners and we look forward to working with you all in 2013! 2012 was a huge year for TeamDrive with the release of TeamDrive 3 and the transition of all our customers to the next generation TeamDrive platform. The coming year will bring many enhancements in all aspects of TeamDrive. You can expect greatly enhanced mobile Apps and a growing TeamDrive eco system to support all your great ideas and to provide enhanced global services for private and secure cloud storage. TeamDrive ensures that your files and content will always always stay and remain under your personal control, our mission and promise for 2013!